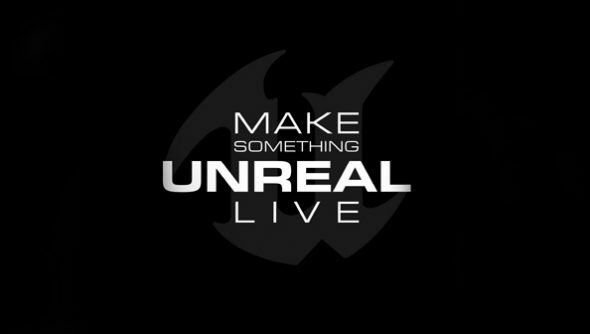 You’ll remember that tiny teams with extra-large ideas are already pitching away for Make Something Unreal Live this year, designing games to fit the theme of classical genetics that aren’t Spore. Well, there isn’t long left. The very last minute entrants can possibly enter for this year’s MSUL is 23:59 next Friday, November 2nd. Entrants needn’t have flexed their coding muscles by this point, so it’s not too late to submit a pitch. All you’ll need is 2-3 pages describing your game’s concept, a vague idea of its mechanics and some sample art. 12 entrants will make the shortlist and have a chance to build of their ideas using UDK’s tools, to be announced on Friday November 9th. After that, it’s only a month’s wait til December 3rd, when teams will present their demos to Epic and four finalists will be chosen. Submissions can be made using this form, and teams should register their interest in entering over at Staffordshire University’s games design page. You’ll also find a dedicated Facebook page here, which is regularly updated. The theme is ‘The Mendelian Inheritance: genetics and genomics’. That means the pitches must be somehow linked to the 150-year-old laws at the root of classical genetics – laws which define how parents of all species pass on hereditary traits to their offspring. The contest’s theme is supported by the Wellcome Trust – the games-friendly biomedical research charity whose Tomas Rawlings we caught up with a bit ago – which will provide advice and supporting materials for shortlisted entrants from its scientists, as well as access to its facilities.